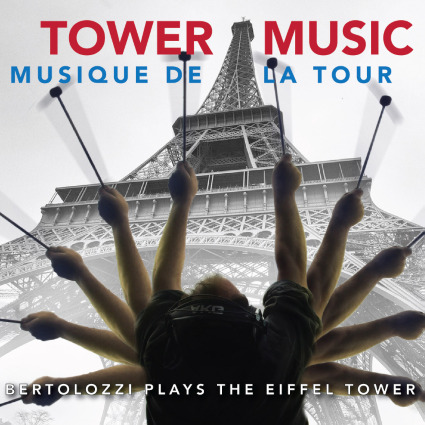 Music for Maniacs: THE WORLD'S TALLEST MUSIC: Joseph Bertolozzi's "Tower Music"
THE WORLD'S TALLEST MUSIC: Joseph Bertolozzi's "Tower Music"
An entire album made solely from the sounds of someone banging on the Eiffel Tower?! Now that is the kind of thing to warm the cockles of a Maniac's heart, and to thoroughly confuse, if not annoy, mainstream music consumers: "Wha..? Why doesn't he use real musical instruments?" Because, my poor, brainwashed Normals, there is a universe of unused sounds out there that cannot be conjured up with pianos, guitars, even synthesizers. Music is all around us, as John Cage would say, and sampling those sounds and using them as the raw stuff of compositions is an excellent way to make us aware of that. Joseph Bertolozzi "Continuum" from "Tower Music"
Here's a link to Bertolozzi's page on the album, with a video. Thanks Mike! I corrected the album link to the official label page. I need to get more of this. Thanks for introducing it to me! Very very cool. I bet Tom Waits would love this guy.